Some people feel like they’ve missed out because Mozart and Beethoven lived in a different century. But they’re overlooking the great artists who are in our midst today — composers writing music that is just as meaningful, and just as likely to last. But Adams isn’t one to settle for past glory. 7:30 p.m. Thursday, March 17, 8 p.m. Saturday, March 19, $21-$121; 7 p.m. Friday, March 18 (“Untuxed”), $17-$74; Benaroya Hall, 200 University St., Seattle (206-215-4747 or seattlesymphony.org). America’s pre-eminent composer is coming to Seattle Symphony Orchestra (SSO) to conduct his latest large-scale opus “Scheherazade.2,” alongside guest violinist Leila Josefowicz. 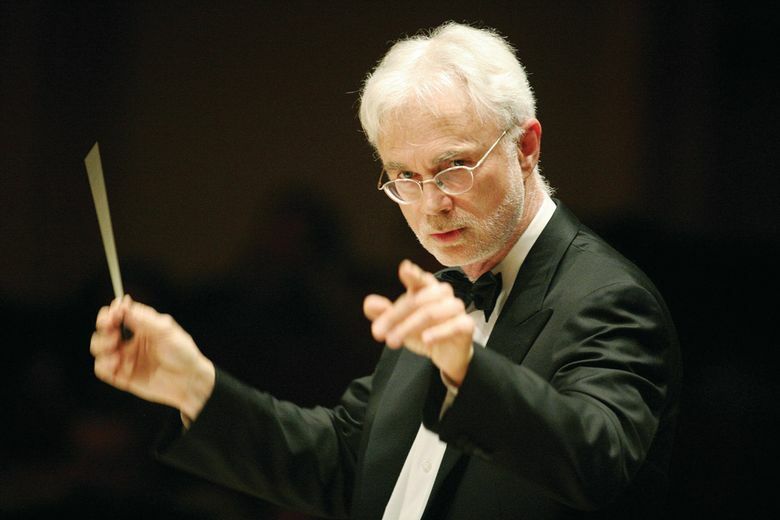 The Seattle program will also include one of the lesser-known marches from Edward Elgar’s “Pomp and Circumstance” series and (on March 17 and 19) Ottorini Respighi’s kaleidoscopic “The Pines of Rome” — a veritable case study in state-of-the-art orchestration. Adams’ attention was drawn to the “casual brutality” underlying the Scheherazade legend, the inspiration for Nikolai Rimsky-Korsakov’s symphonic suite of the same name (and one of the most popular works in the orchestral repertory). So he began to imagine what a contemporary Scheherazade might do to cope. Adams devised a compositional plan in which the solo violin would represent Scheherazade’s character in a series of situations: her pursuit by a group of angry fundamentalists, a love scene, her trial by zealots and an ambiguous final escape. “The headline plucked out just one aspect of the piece,” Adams said. “Scheherazade.2” is “the closest collaborative undertaking I’ve ever done,” he said, referring to the role violin virtuoso Josefowicz played in inspiring the solo. In the year since she performed in the world premiere, Josefowicz has played “Scheherazade.2” 16 times — last week, she introduced it to Australia. 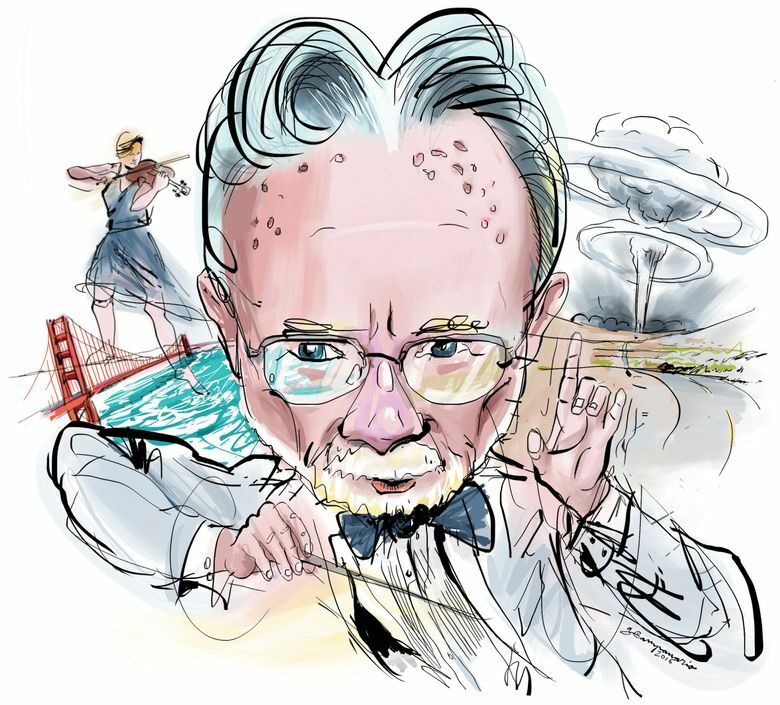 Adams, now 69, started on his musical path with a San Francisco Symphony residency, which culminated in “Harmonielehre” — an orchestral masterpiece from 1985. Adams introduced it to SSO during his last visit here in 2012.
International recognition followed in 1987 with his debut opera “Nixon in China.” Drawing on President Nixon’s breakthrough visit to Beijing in 1972, and cast as a psychological Cold War fantasia, “Nixon” helped spark a still-flourishing renaissance in new American opera. It also set a pattern for provocation. Adams’ second opera, “The Death of Klinghoffer” (1991), dramatized the 1985 hijacking of the “Achille Lauro” cruise ship, during which a 69-year-old Jewish American in a wheelchair was killed and thrown overboard. Though “Nixon” is now widely acknowledged as a landmark, the more emotionally complex “Klinghoffer” still generates intense controversy — the Metropolitan Opera’s 2014 production generated headlines and protests. 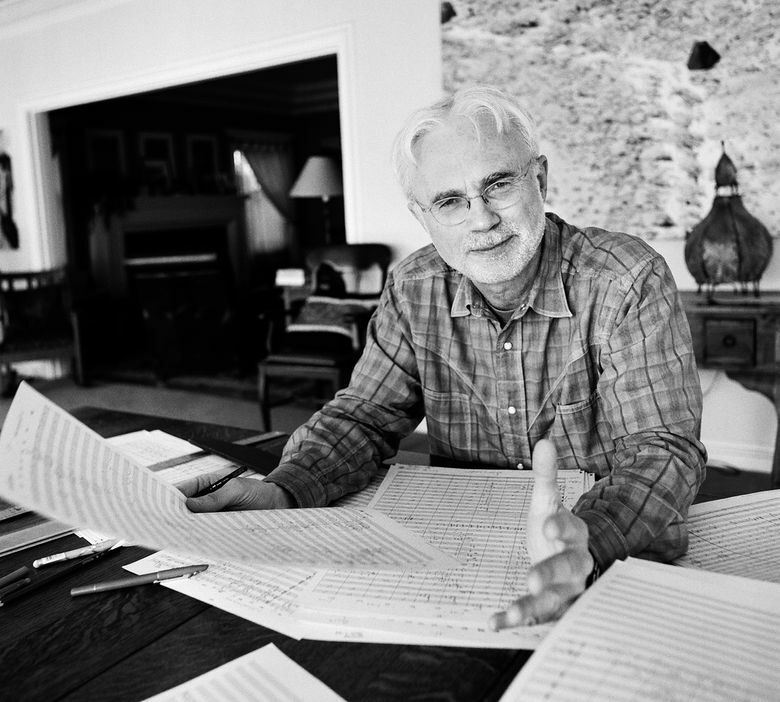 Nevertheless, Adams has blazed new trails with a series of ambitious, searching works unparalleled in the history of American music. They reveal a mature artist restlessly challenging the limits of his language — and the limits of musical language itself as Adams grapples with dark, ominous territory: the impulse toward cruelty, violence and destruction. In his 2005 opera “Doctor Atomic,” Adams turned to one of the most frightening and potent moments in modern history: the test of the first atomic bomb in a New Mexico desert. His 2001 “El Niño,” a sort of precursor to “Scheherazade.2,” recounts the Nativity story with a fresh emphasis on the experience — including the pain — of motherhood. And one of Adams’ most gripping creations is “The Gospel According to the Other Mary,” which reconfigures the Passion of Christ with a focus on the women who were important to Jesus. Thomas May writes about the arts for a wide variety of publications. His books include “Decoding Wagner” and “The John Adams Reader.” He blogs at www.memeteria.com. On Twitter @memeteria.